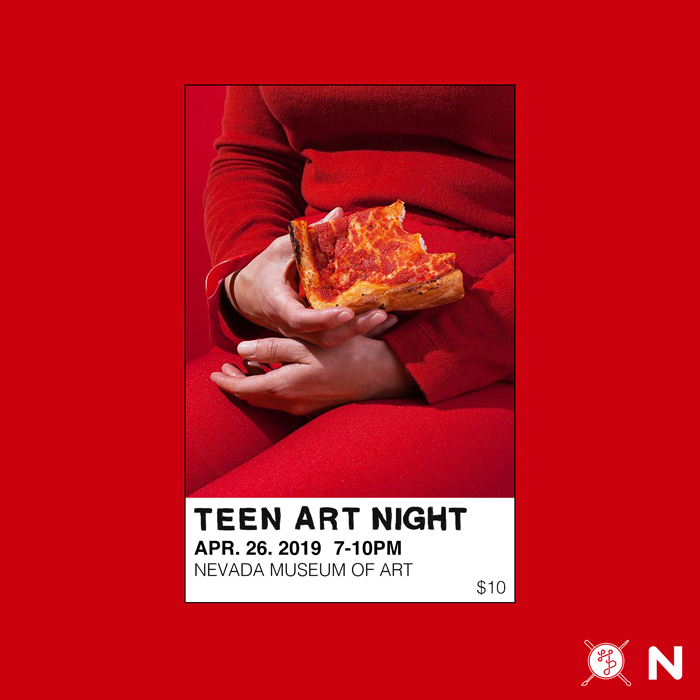 On Friday, April 26, the Nevada Museum of Art and the Holland Project are hosting their annual “teen-takeover”, Teen Art Night! From the museum’s lobby to the Sky Room, this event has your favorite tactile workshops and some new special ones inspired by this year’s theme, COLOR. 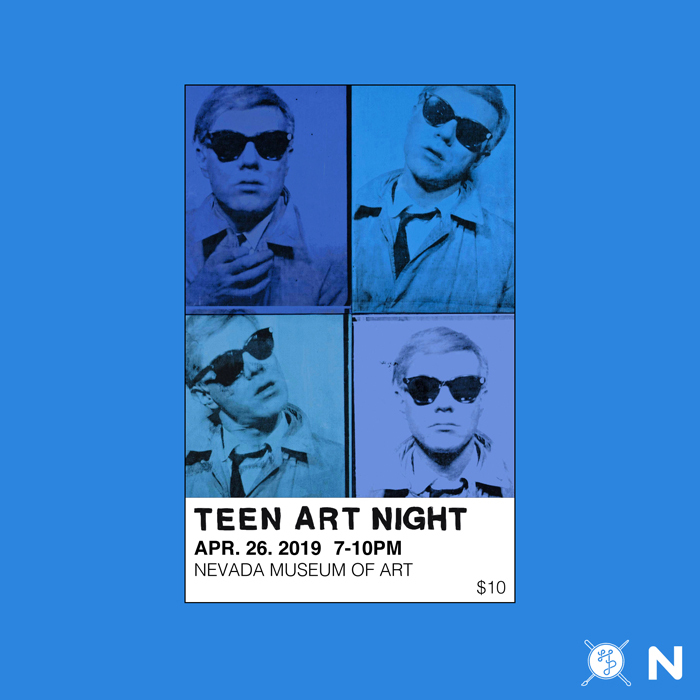 Grab your friends, dress in your best monochromatic looks, and enjoy an evening with local musician heartthrobs Octophonix, DJ Disktoteka, Dale, Stirry Lightly, and more! 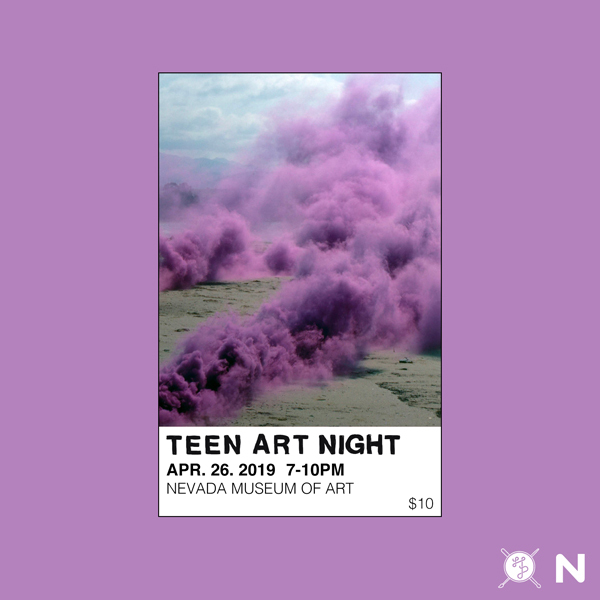 Galleries will also be open late!